Our 2015 event has now closed. A huge thank you to everyone involved, our talented artists; our thousands of website visitors, hundreds of Twitter followers and Facebook likes. Head over to our Facebook page for updates on this year's event and news about future projects. The listed works and artists will remain on this site for your enjoyment. Please get in touch if you need any more information. 'The Works' donated by Maggi Hambling. 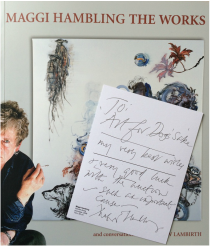 Acclaimed artist Maggi Hambling has generously donated a signed edition of her book 'The Works' . 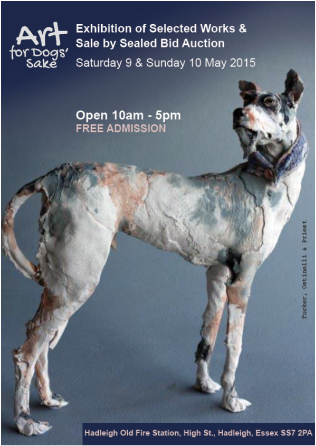 Maggi says "To 'Art for Dogs' Sake' my very best wishes & very good luck with the auction - such an important cause. Maggi Hambling". Entries to the Prize Draw are £5 per entry (no limit to the number of entries). Simply visit the Exhibition or Contact us if you would like to enter. Update: the prize draw is now closed. Thanks to everyone who took part. Generous donations of work from renowned animal artists and sculptors Ostinelli & Priest, international selling artist Gültekin Bilge and contemporary Sculptor Simon Bacon. Bid online NOW or in person at the Exhibition in May. Selected work by artists from Essex, London and across the UK and Europe includes established artists as well as emerging talent. Generous donations of work received from highly collectible and international selling artists. All work is for sale by 'sealed bid' auction. Proceeds will be shared equally between our two worthy causes - helping abandoned, neglected & abused dogs in Cyprus and supporting Hadleigh Art Trail 2015. Please bid generously. Artist-focussed, Art for Dogs' Sake has been created by artists based at Hadleigh Old Fire Station (HOFS). It is an opportunity to raise funds for Love Cyprus Dog Rescue, which has been set up by one of HOFS' studio holders to raise awareness of the hundreds of neglected, abused and abandoned dogs in Cyprus. For more information please click here. A number of additional works not listed in our catalogue are available to view at the Exhibition and in our online gallery, BID ONLINE NOW quoting artist name and the work's title. 58. 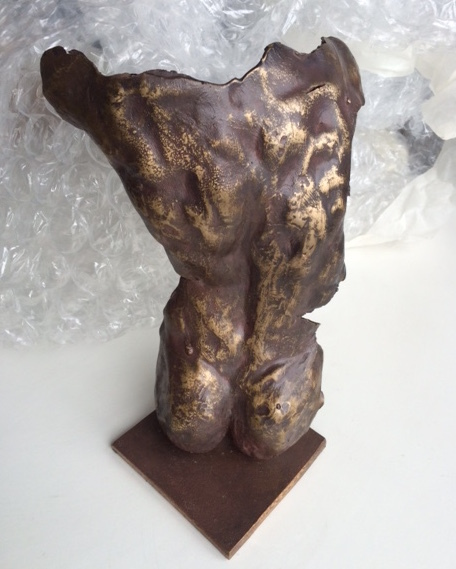 Simon Bacon 'Awakening', Bronze, 2015 H25 cm (approx) Guide price £600-800 BID NOW.